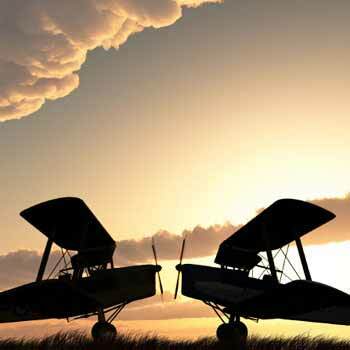 Classic Tiger Moth Flight Gifts from www.GreatestGifts.co.uk. 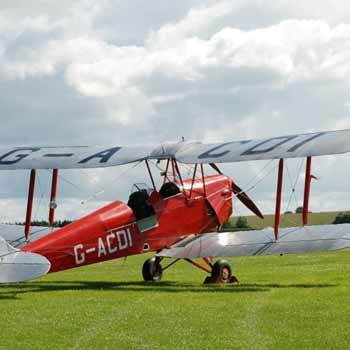 Fly a Tiger Moth Biplane for an amazing flying experience day. 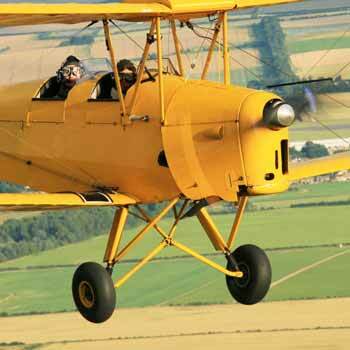 To Fly a Tiger Moth is a great experience as it is a relatively easy plane to control. 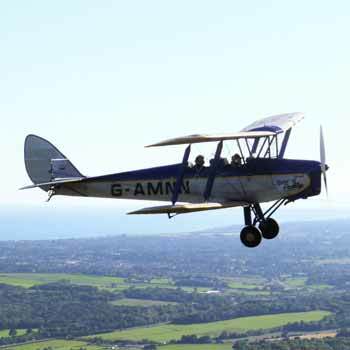 With a stall speed of just 25 knots and relatively large wings the Classic Tiger Moth Flying Experience is a marvellous way to learn to fly so why not treat a loved one to an experience they will never forget with a Tiger Moth Flight Gift? Dating from the 1930's the de Havilland DH Tiger Moth is a wonderful little biplane designed by Geoffrey de Havilland and used by the Royal Air Force as a primary trainer. The marvellous Tiger Moth stayed in service with the RAF from 1932 until it was finally replaced in 1952 by the de Havilland Chipmunk. 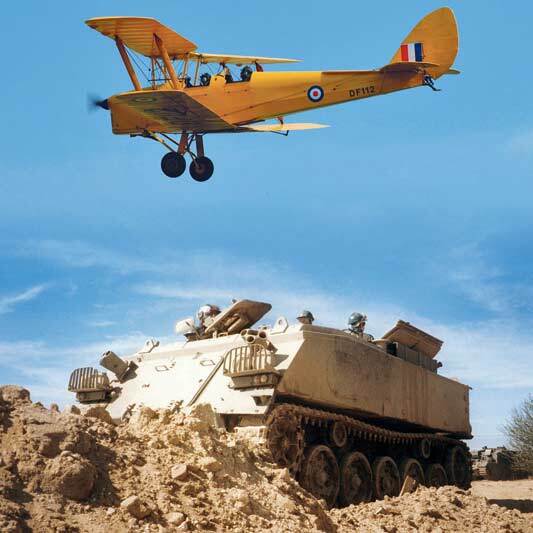 The Tiger Moth was successfully deployed in both military and civil applications all around the world, and it still remains in widespread service even today, including much-needed use as a primary training aircraft. During world War Two there were more than 4000 of these planes built, around half of these were produced at Morris Motors Limited in Oxford. 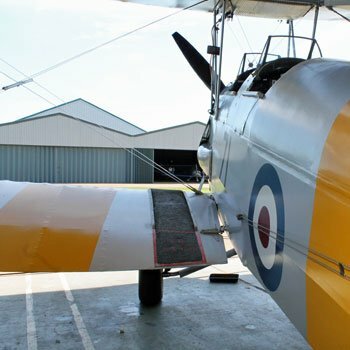 In total there were over 7000 Tiger Moths manufactured over some 30 years and many are still flying and will remain flying for decades to come. After the Second World War ended there were thousands of surplus aircraft and many of these were sold to both individuals and Flying Clubs for social uses. They were relatively inexpensive to run and maintain and were put to various good uses such as crop dusters, aerial advertising and aerial ambulances. Due to it's great popularity there are a number of kit planes available for the intrepid homebuilders. These are both scale and full sized aircraft and include the RagWing RW22 and the Fisher R-80 Tiger Moth.